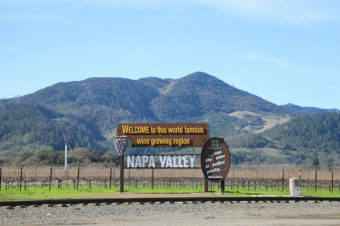 Being a San Francisco native trips to Napa are quite frequent and something I look forward to as a lovely getaway and a way to relax and enjoy their incredible luxury hotel and dining scene. 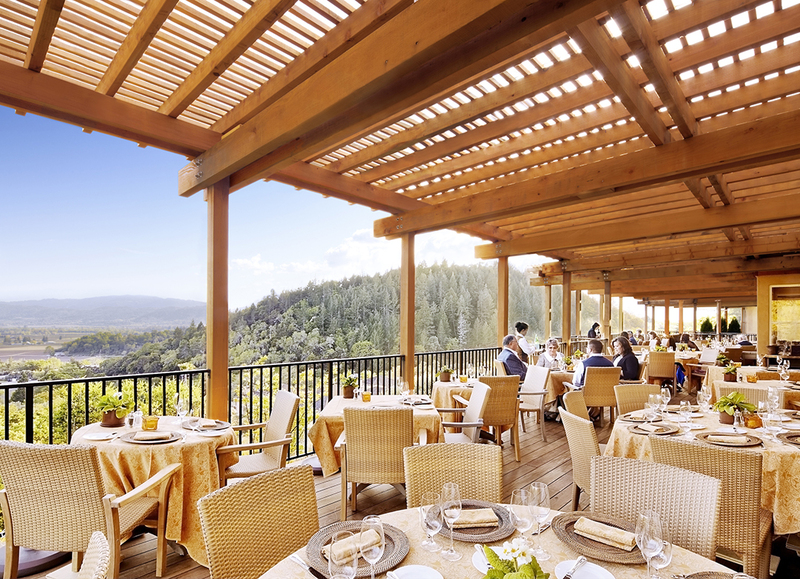 A hotel I’ve always dreamt of visiting is the Auberge du Soleil. 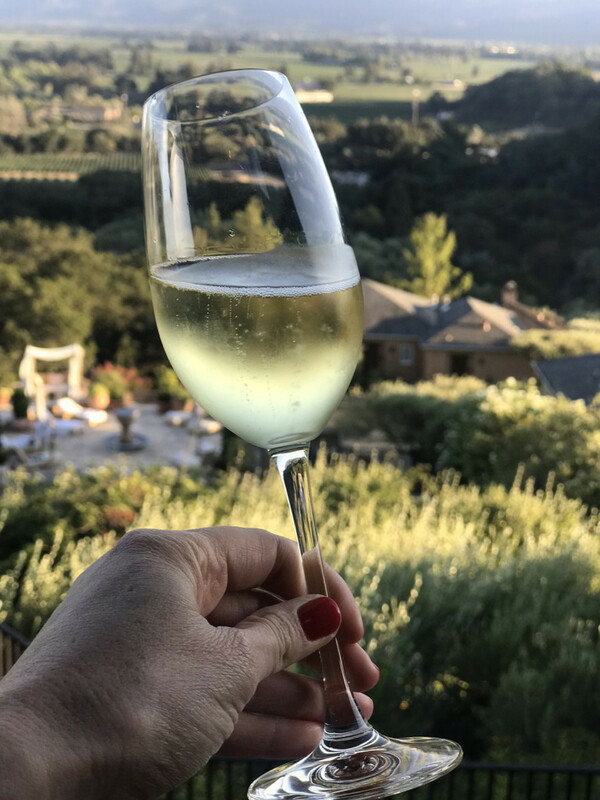 During a recent trip to Napa this dream became a reality when I got the chance to dine at The Restaurant at Auberge du Soleil. 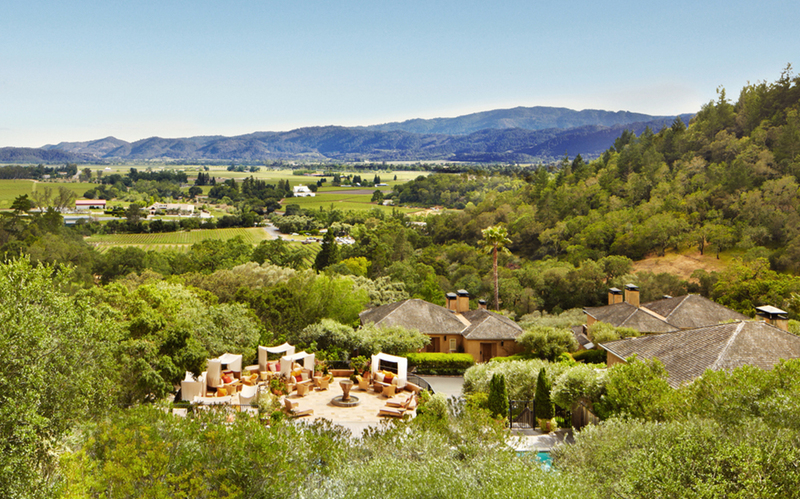 I’m so excited for my first visit to the Auberge du Soleil. 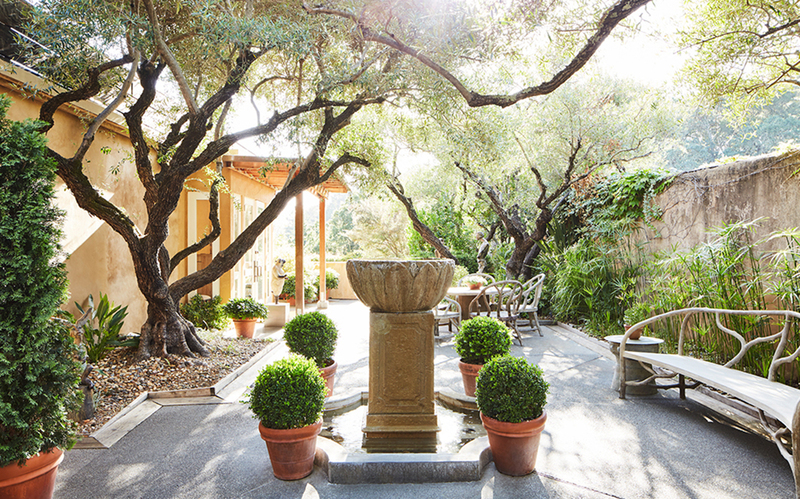 This is the lovely garden area as you enter the hotel. 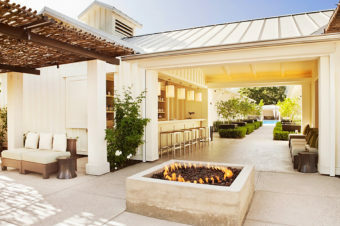 Such a perfect setting for a glass of wine or just relaxing in this beautiful hotel setting. 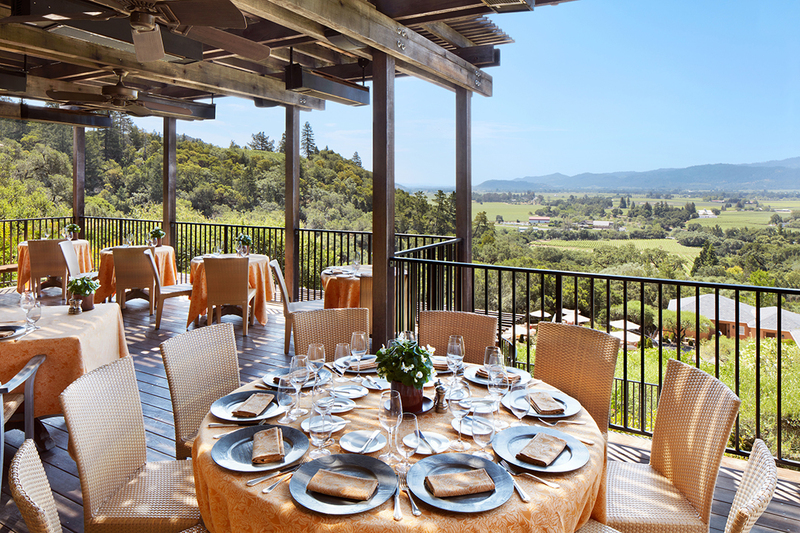 The stunning views from The Bistro and Bar overlooking the Auberge du Soleil property. 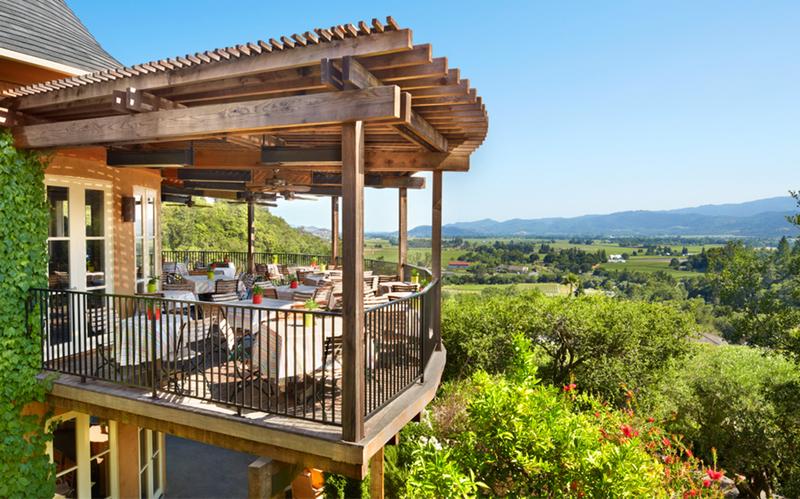 I suggest dining outside when you visit it’s one of the most special parts of the experience, except of course the food and perfect service. The Restaurant’s terrace dining setting where we sat. Views from our table of the hotel and pool. 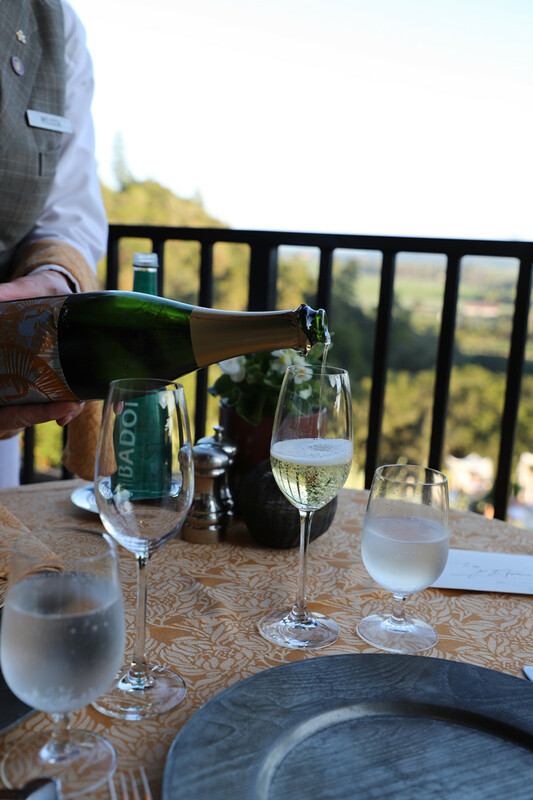 Enjoying a glass of Auberge du Soleil Sparkling Wine to welcome us. This Sparkling Wine is produced by Louis Pommery and is divine! The fabulous Day Boat Scallop with Avocado, Scallions & Key Lime that we started with. 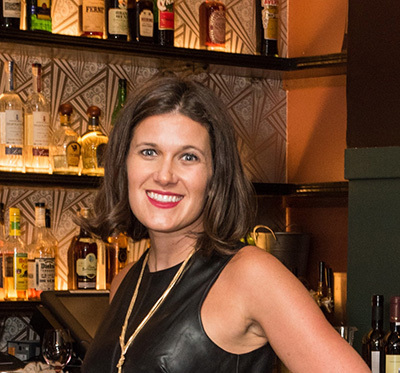 There were so many incredible options on the menu my guest and I decided to share a few. 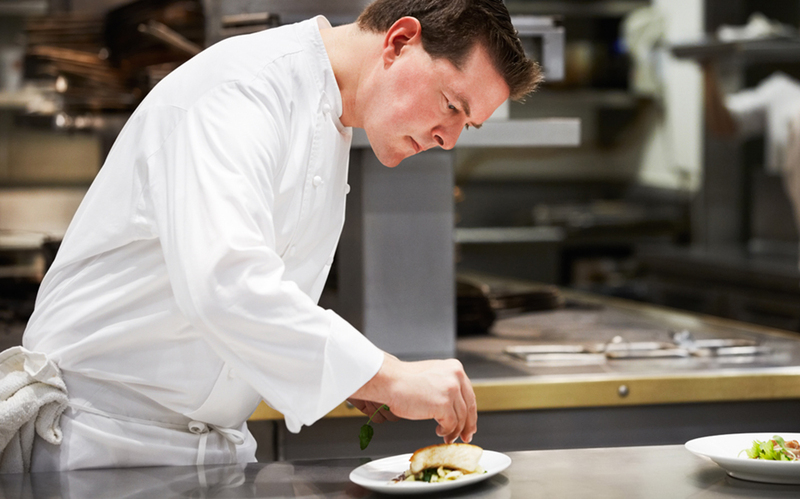 That’s my favorite way to dine so you get to enjoy more than just two dishes and get a real feel for the chef, the menu and all they have to offer. The other appetizer we shared which was also divine! 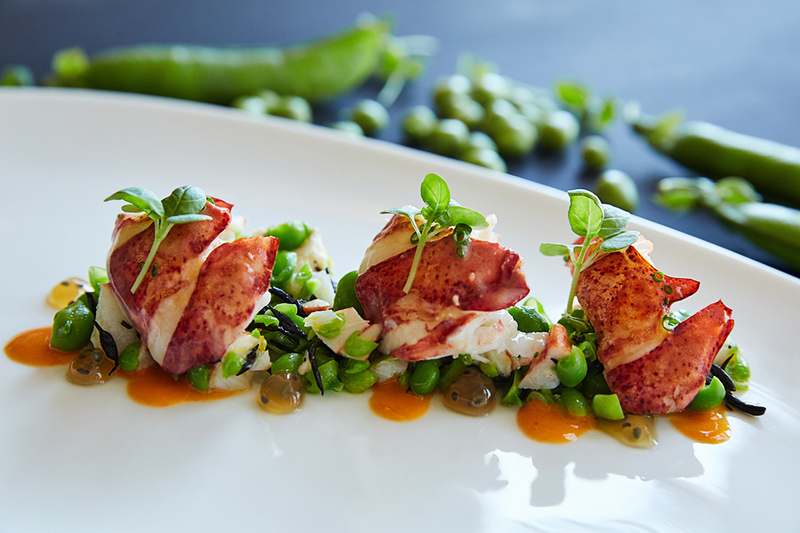 The Poached Maine Lobster with English Peas, Red Curry & Basil. This was extremely light and I loved how the peas and the curry complimented each other. 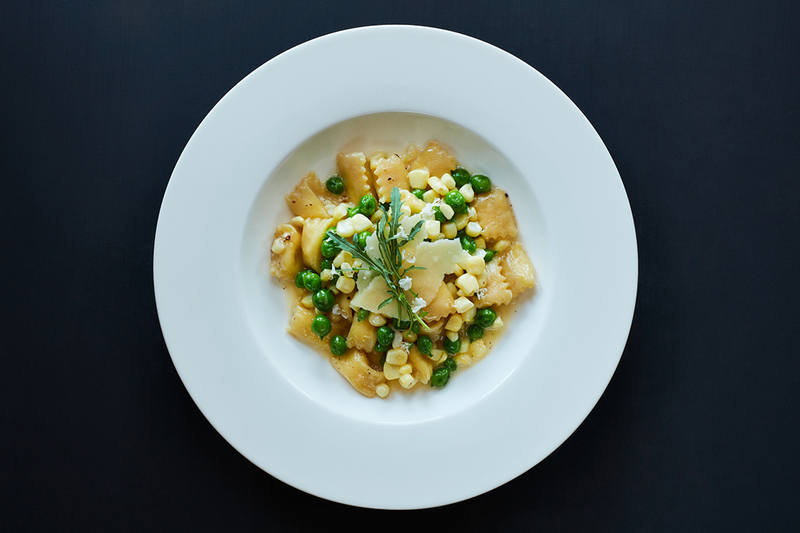 The Agnolotti with ricotta, peas, corn and chives. The pasta was just as wonderful as the other foods with amazing flavors that paired perfectly together yet it wasn’t too heavy or over powering. Divine! 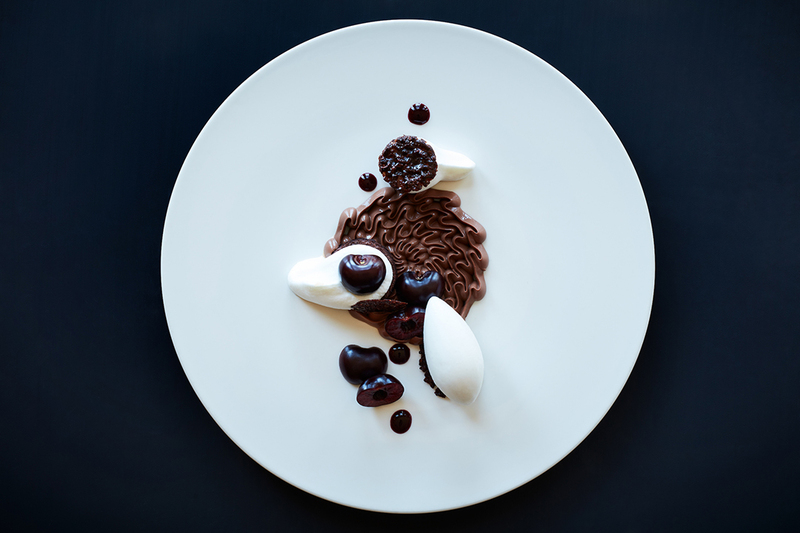 One of the two incredible desserts we had which was a Housemade Dominican Republic 70% Oko Caribe Cremeux with Cocoa Genoise, Caramel Roasted Cherries, Kirsch Cream and Vanilla Bean Ice Milk. 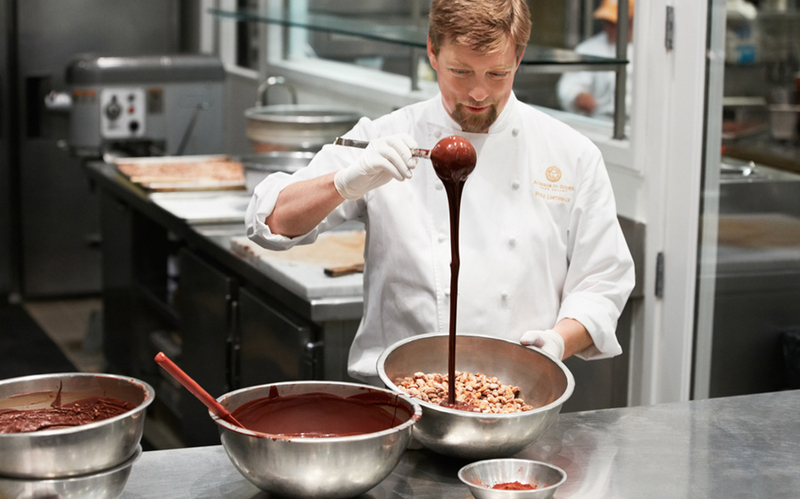 As a chocolate lover this was the dessert for me! 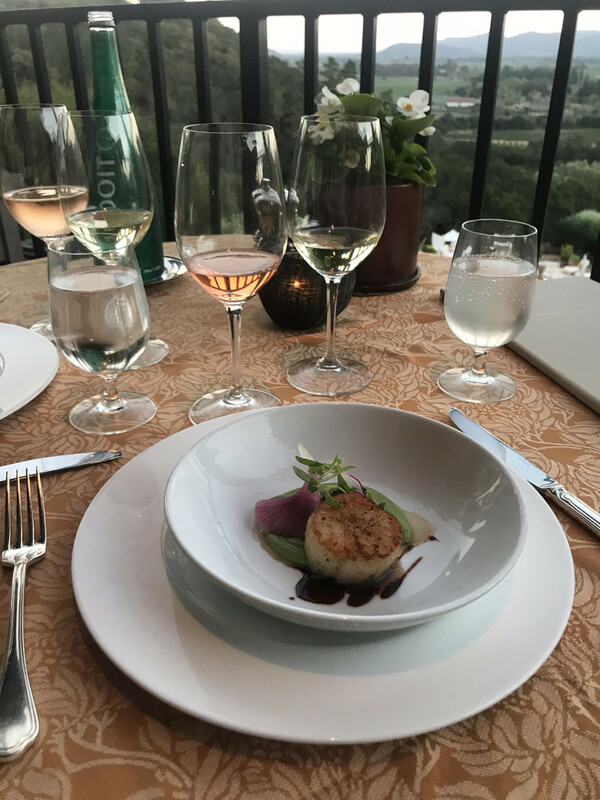 During our meal we enjoyed the pairing menu so with each course a different wine was shared with us. 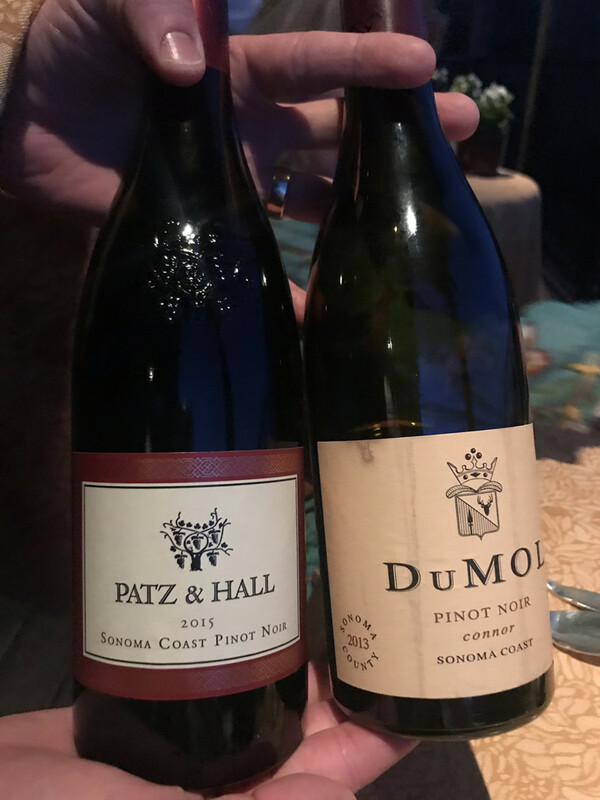 I especially loved the Pinot Noir pairing as I adore both the Patz & Hall and DuMol Sonoma Coast Pinot Noir. 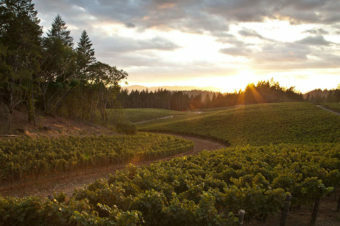 This wine list is truly spectacular with something for everyone. Our Server, who’s also the Captain Melissa was asking us about our wine style preference and did such an amazing job sharing the perfect wine pairing with each of us for each course. 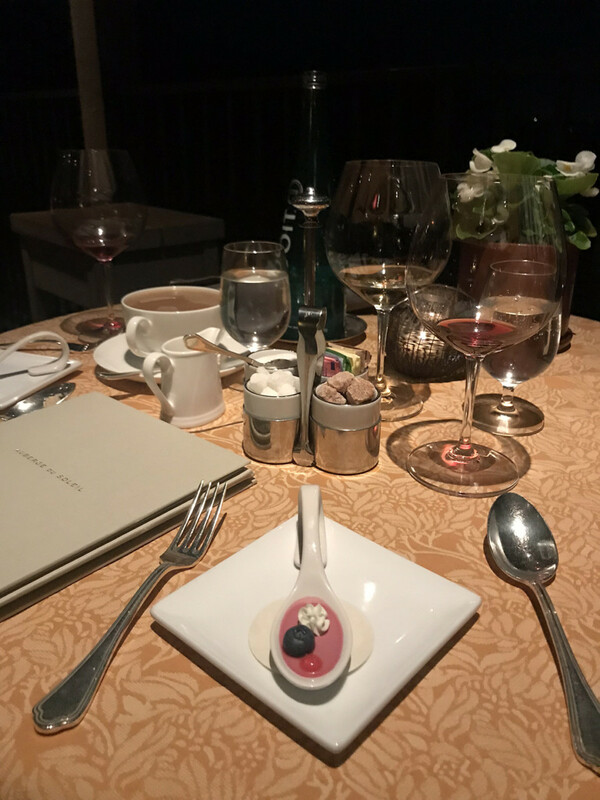 As if the two dessert courses weren’t filling or delicious enough there was another small treat from the kitchen as well as a plate of truffles and caramels to enjoy. 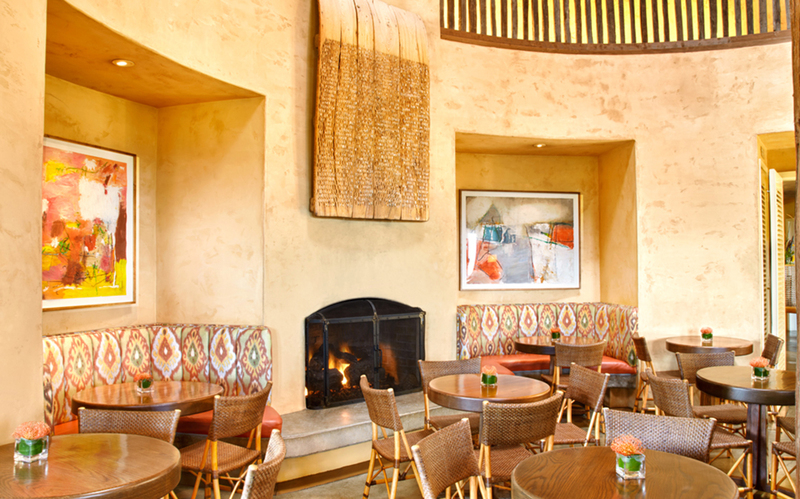 The Auberge du Soleil team shares such a luxurious, delicious experience with guests. 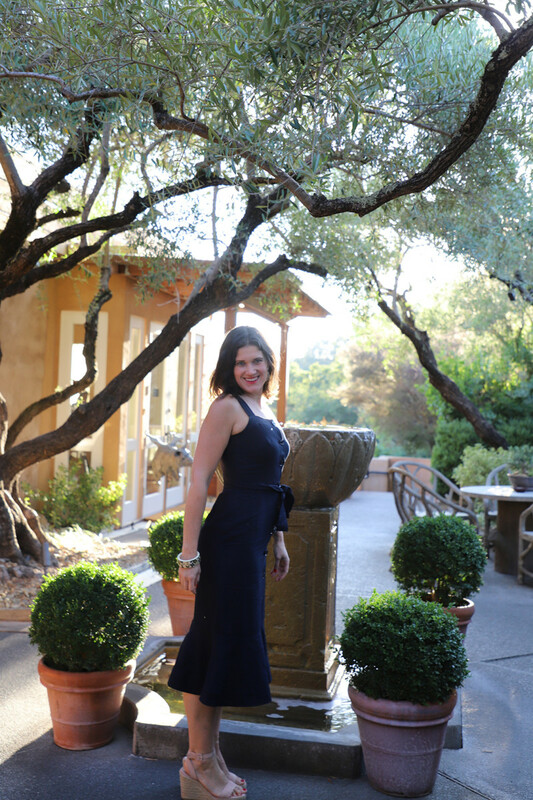 I think this has been the best service experience I have ever had in Napa Valley and is something foodies and those looking for one of the most magical, memorable meals of their life should experience. 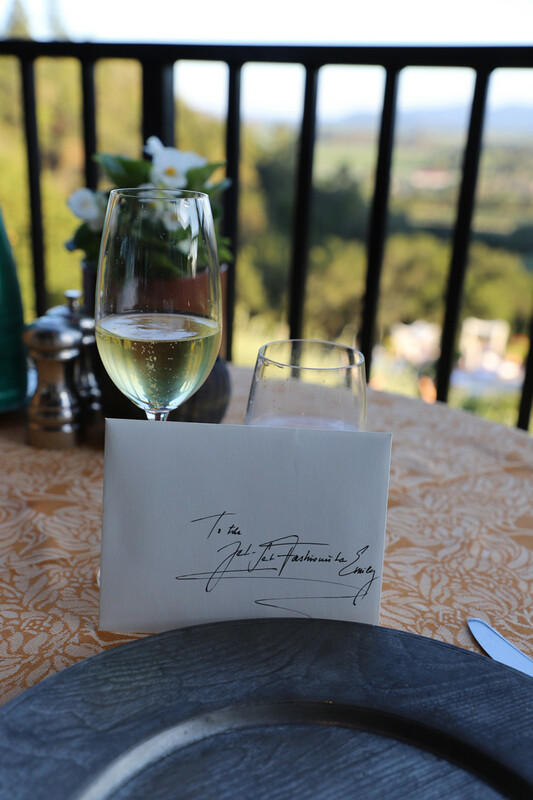 Thanks to the Auberge do Soleil team for the amazing dinner and for hosting me and my guest. 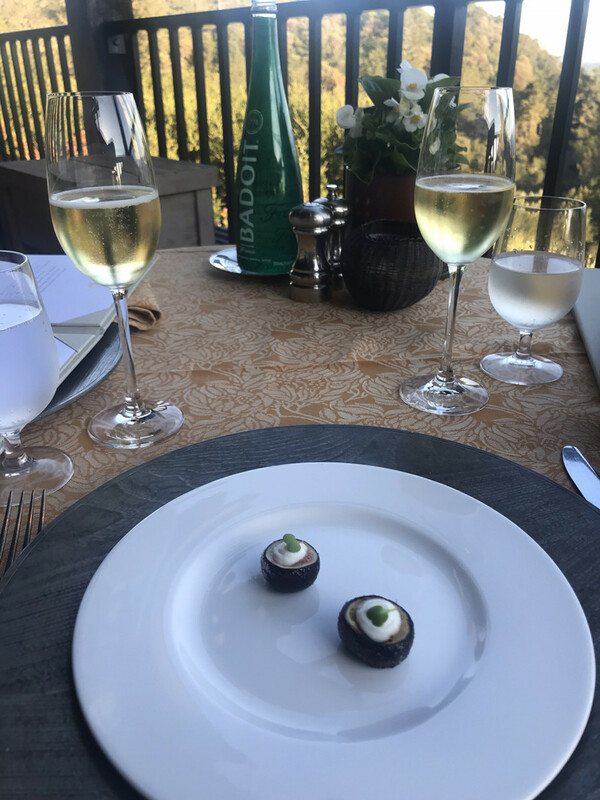 As evident from my thoughts shared above this was a life changing culinary, wine and hospitality experience I will always treasure and be grateful I had the chance to experience.